This summer, Payne & Co. celebrates 80 years as valued Oxted estate agents, with a new look website to herald a new era! 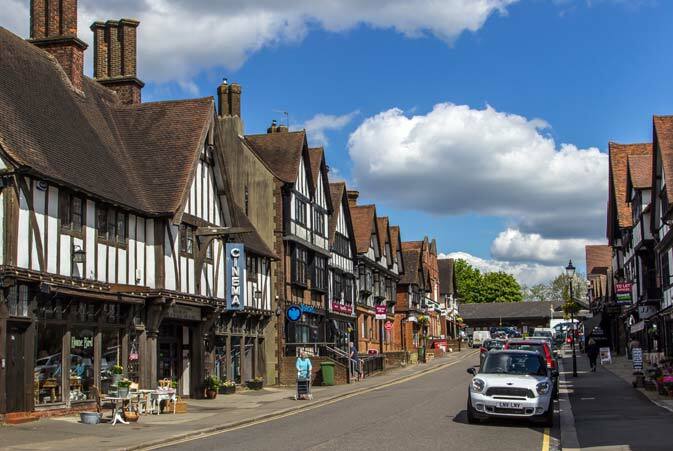 Founded in 1937 by Mr Alec Payne, Payne & Co. has always been located in the same historic building – one of Oxted’s attractive Tudor style timber fronted character buildings on Station Road West. A respected part of the community, Payne & Co. has sold thousands of properties in Oxted and the surrounding villages – many of them several times over! What else was happening in 1937? Aside form the launch of Payne & Co., the first issue of children’s comic The Dandy, including the character Desperate Dan, was published! These days, children rarely read magazines and The Dandy is sadly no longer with us. In 1937 Prince Edward, who had recently abdicated the throne, was created Duke of Windsor and married Wallis Simpson; we saw the Coronation of King George VI and Queen Elizabeth, and Neville Chamberlain became Prime Minister. There has been significant change in the Oxted area since the 1930s. Not least the introduction of the M25 (in the 1980s) and in fact the A25 as we know it, which was a narrow lane until the late 1960’s/early 1970’s. Oxted High Street was originally located in Old Oxted, boasting four pubs in a line – The Old Bell, The George Inn, The Crown Inn and The Wheatsheaf – all of which are all still there! While Oxted had begun its transformation from a sleepy rural village to a prosperous commuter town in the 1880s, with the arrival of the railway, even by the 1930s, Oxted, Limpsfield and Hurst Green were still largely fields and commonland. The Oxted and Limpsfield War Memorial Cottage Hospital (aka Oxted and Limpsfield Cottage Hospital) was in-situ off Eastlands Way (now the location of Lankester Square) and many of Oxted and Hurst Green’s streets didn’t exist at all. In fact it was only following the extensive building programmes of the post-war era that formed many of the roads and estates that now occupy large swathes of Oxted and Hurst Green.